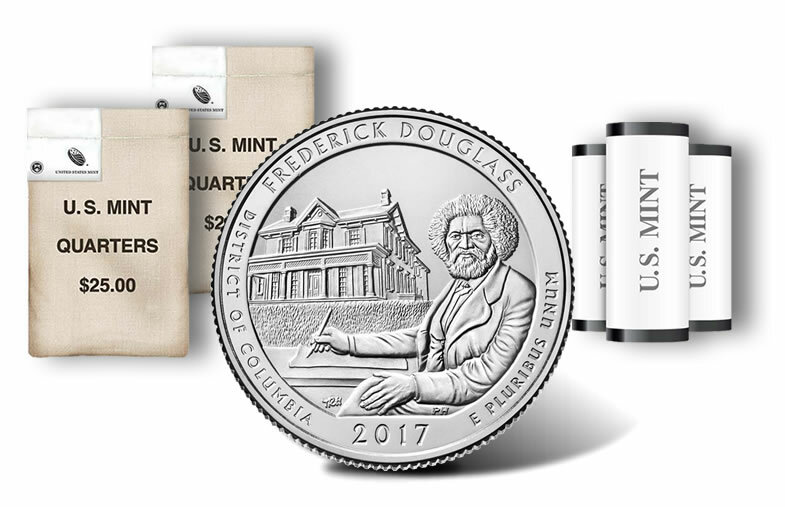 The Frederick Douglass quarter launched today, April 3, 2017, and is available in 40-coin rolls and 100-coin bags. 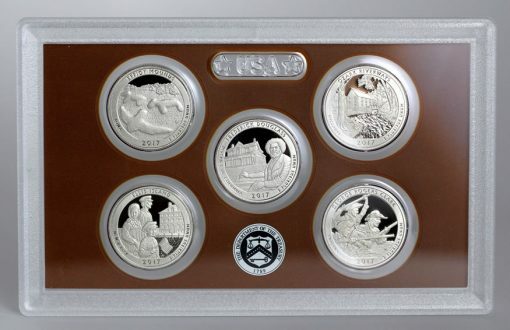 Buyers have the option of quarters produced at the U.S. Mint’s facilities in Philadelphia, Denver and San Francisco. Six design candidates were presented as possibilities for the coin’s reverse (tails side). These were reviewed by parties of the site, the Commission of Fine Arts and the Citizens Coinage Advisory Committee. The winning design, by Thomas Hipschen, offers a scene of Frederick Douglass seated at a writing desk, with his home in Washington, D.C., in the background. U.S. Mint Sculptor-Engraver Phebe Hemphill executed the design for use on coins. In the following Mint video, Hemphill talks about sculpting it. 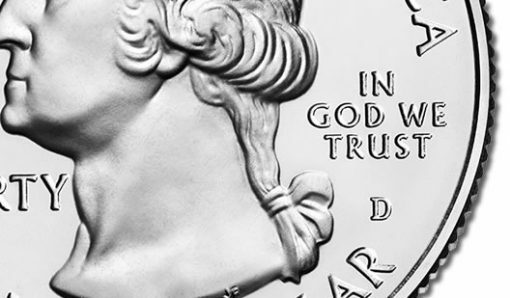 All coins of the America the Beautiful series contain the same obverse (heads side) portrait of George Washington. The effigy of the first President of the United States was designed by John Flanagan and first seen on 1932 circulating quarter-dollars. Washington’s effigy is surrounded by inscriptions of UNITED STATES OF AMERICA, LIBERTY, IN GOD WE TRUST and QUARTER DOLLAR. Mintmarks appear on obverses, indicating where they were made. Here you can see the ‘D’ mint mark for the Denver Mint. A mintmark is also on an obverse to show which production facility made it. Coins in the rolls and bags feature are in circulation quality, but have never actually been released into circulation. Also, the Philadelphia and Denver Mints produce coins for circulation, so they will eventually appear in pocket-change. Those from San Francisco, however, are only produced for numismatic purposes like in these roll and bag products. To order America the Beautiful coin rolls and bags, visit the U.S. Mint’s online store, found here. You may also order by calling 1-800-USA-MINT (872-6468). A coin forum will be presented by U.S. Mint officials today, Monday, April 3, 2017, from 3-4 PM ET. The forum will allow the general public to learn about U.S. Mint programs and ask questions of officials. It will be held at the United States Mint Headquarters at 801 9th Street, NW, Washington, DC 20220. Tomorrow, April 4th, an official release ceremony will take place at 10AM ET. It will be at the Frederick Douglass National Historic Site, 1411 W Street, SE, Washington, DC 20020. (See park information.) After the ceremony attendees can exchange cash for rolls of the new quarter. 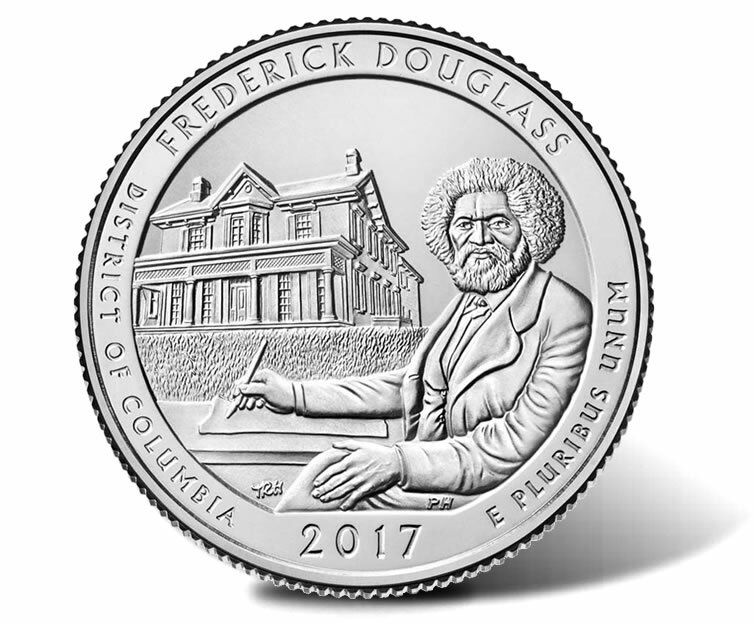 The Frederick Douglass quarter, the thirty-seventh in the series, was preceded by a coin honoring Effigy Mounds National Monument of Iowa. 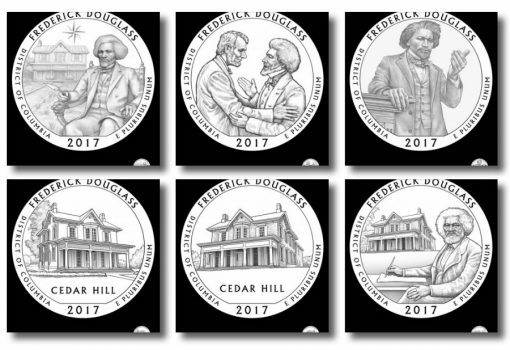 Above is a CoinNews photos of the five 2017 America the Beautiful Quarters. 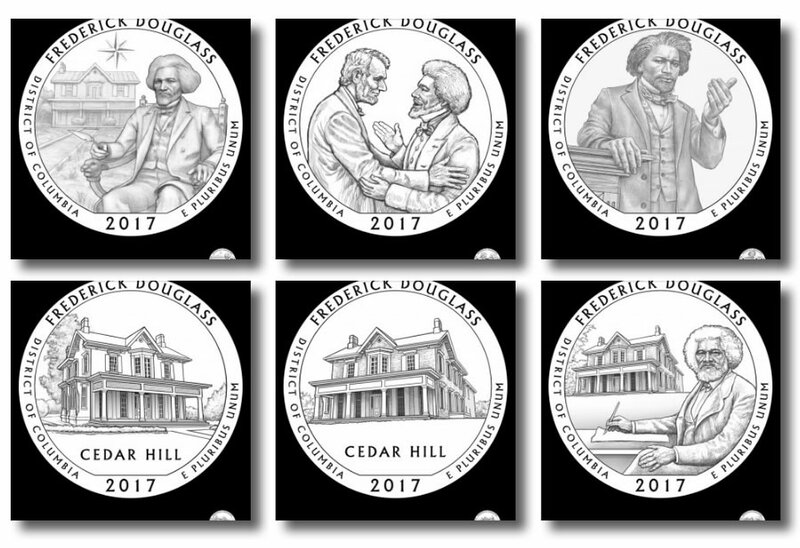 These are special collector proof versions from the San Francisco Mint that launched in an annual set earlier this year. Three more quarters are scheduled to appear this year. They honor Missouri’s Ozark National Scenic Riverways, New Jersey’s Ellis Island National Monument and Indiana’s George Rogers Clark National Historical Park. 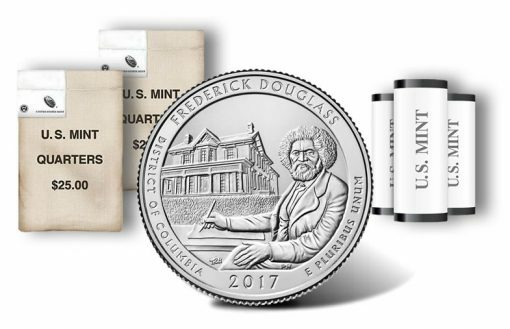 What about the original Frederick Douglas quarters from the 1940’s?